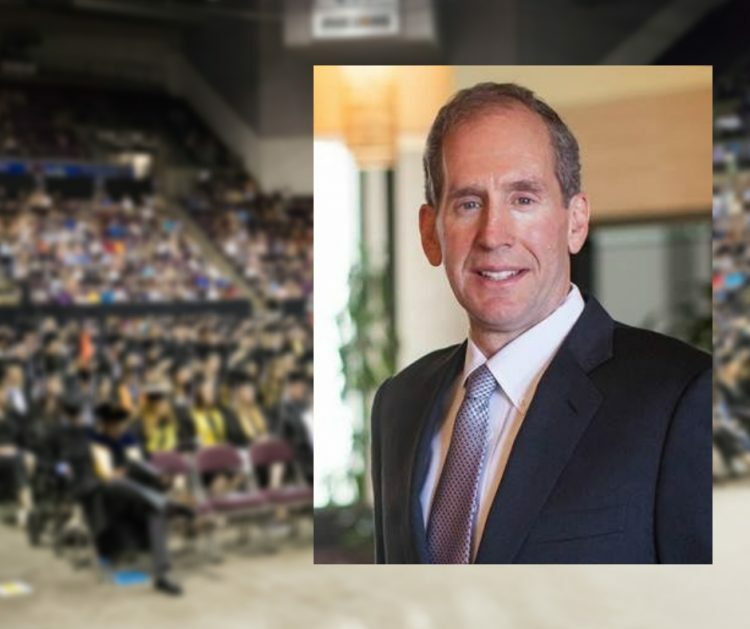 The president and chief financial officer for Salesforce, one of the world’s top customer relationship management software companies, will deliver the UCCS commencement address to fall graduates Dec. 14. Mark Hawkins, a 1986 MBA graduate, will speak to approximately 600 students and their families at the Broadmoor World Arena as the 2018 Distinguished Alumnus Speaker. Hawkins is responsible for leading Salesforce’s global finance organization and is a member of the company’s executive committee reporting to the chief executive officer. He has more than 35 years of experience leading finance organizations at global software and technology companies including Autodesk, Logitech, Dell and Hewlett-Packard. Recruited by HP to Colorado Springs in 1981, Hawkins took classes at UCCS while working full-time in a variety of finance and business management roles at HP. He previously earned his bachelor’s degree from Michigan State University and completed the advanced management program at Harvard Business School in 1999. He has contributed to the College of Business 50th Anniversary Endowment, which provides support to deserving UCCS undergraduate students, and to the Laura and Mark Hawkins MBA Scholarship supporting UCCS College of Business graduate students. His support for the college spans three decades. Salesforce is the fourth largest enterprise software company in the world. It was awarded the No. 1 Best Place to Work in the World according to Fortune magazine in 2017 and 2018, and No. 1 Most Innovative Company of the decade according to Forbes magazine in 2016. Hawkins serves on the board of Secureworks, a global leader in cyber security solutions; Plex Systems, a leader in cloud-based ERP for manufacturers; as well as The Ocean Cleanup North Pacific. From 2010 to 2013, Hawkins served on the Board of Directors of BMC Software, Inc. He is also a member of the World Economic Forum’s System Initiative on Shaping the Future of Financial and Monetary Systems. From 2016 to 2018, Hawkins has hosted the World Economic Forum’s annual CFO Forum in Davos, Switzerland, and is currently embarking on hosting the fourth consecutive forum in 2019. In 2017, he chaired the Juvenile Diabetes Research Fund San Francisco One Walk for the City of San Francisco resulting in a new fundraising record for children with Type 1 diabetes. Hawkins and his team have received numerous professional recognitions including IR Magazine’s Best Global Technology Investor Relations Program, Institutional Investor Magazine’s Best Software CFO – second place in 2015, Institutional Investor Magazine’s Best Software CFO – third place in 2016, and San Francisco Bay Area CFO of the Year (runner-up) in 2013. In 2018, under his leadership, Salesforce received the Communicating Integrated Thinking Award from Finance for the Future, The Prince’s Accounting for Sustainability Project, established by Prince Charles in 2004. Prior to joining Salesforce, Hawkins served as CFO and executive vice president of Autodesk from 2009 to 2014, leading the global finance, IT and procurement organizations. From 2006 to 2009, Hawkins was CFO and senior vice president of finance and IT at Logitech International SA. From 2000 to 2006, Hawkins served as vice president of finance for Dell’s worldwide procurement and logistics organization, as well as vice president of finance for Dell’s U.S. home segment. Prior to Dell, Hawkins spent nearly 19 years at Hewlett-Packard where he held a variety of finance and business management roles, including a two-year posting in Europe and serving on HP’s Joint Venture Board of Directors in Shanghai and Tokyo. More than 1,000 students completed requirements in August and December and will earn degrees. Approximately 600 are scheduled to participate in commencement. Ceremonies begin at 2 p.m. at the Broadmoor World Arena.